A Super Rocket headed the way at the recent Classic Car, Motorcycle and Automobilia auction held in Driffield. Nicely presented Super Rocket made upwards of £6000. The sale at Dee Atkinson & Harrisons sale room in East Yorkshire on December 11, was a great success, with a packed room and multiple bidders on the internet. The auction started with automoblia and straight away a large collection of motoring photographs, mainly related to buses, flew past its estimate of £100-150 realising £320, a Blaydon Petrol globe, estimated at a low £50-80 due to a large crack realised £750 and all of the ever popular enamel signs sold well. 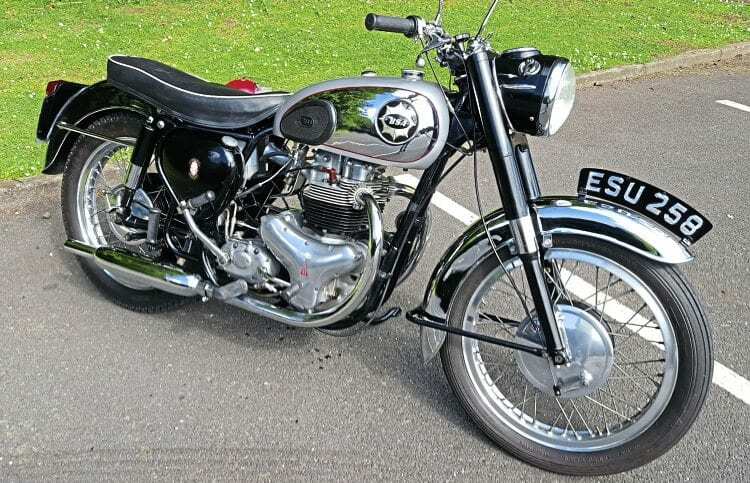 In the motorcycles section nine of the 11 lots sold, headed by the 1960 BSA Super Rocket at £6050, a very original and patinated 1959 BSA Bantam D1 was hotly contested to £1900, a 1961 unregistered Triumph Tiger Cub at £2100, going to an internet buyer in Liverpool. Prices are inclusive of buyers’ premium. The next auction will be held on March 4. Contact Andrew Spicer on 01377 253151 for details.